While it may be tempting to wear your engagement ring and show it off at every moment possible, it may be actually doing more harm than good in certain scenarios. It’s important to note that a lot of the more popular metals used in engagement and wedding rings that tend to be on the softer side - such as white and yellow golds, etc. This often means that they are more prone to damage than harder metals like cobalt and platinum. When you engage in any type of sports that put pressure or have a heavy impact on your ring - such as basketball, weight-lifting and so forth, depending on how soft your ring is, it may cause it to be bent out of shape. Never mind the scratching, your concern should be about whether a change in the ring shape will cause the diamonds to fall out. So before you break a sweat, spare your ring the damage by placing it somewhere safe while working out. Moisturising creams can create build up over time, which can tarnish the metal of the ring - making it lacklustre. By moisturising while your ring is still on, or putting it before the moisturiser has time to absorb into your skin, it can make your ring appear cloudy and diminish its shine and brilliance over time. Perfume, hair sprays and other beauty products often end up clinging onto not just rings, but all types of jewellery that you wear. And while a once off might not destroy your ring, it’s the build up that becomes the issue. Substances and sprays tend to build up over time, weakening the natural sheen of your ring. If you do get any sort of grime or build up on your ring - it’s recommended that you rinse it under hot water and dishwashing liquid. 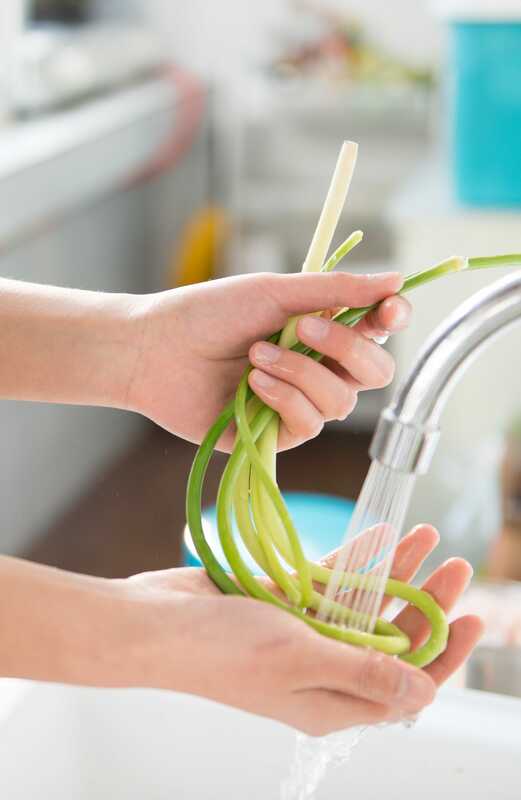 While doing this, make sure that your sink is secure, so your ring won’t slip through the drain. Damage may arise from having your ring banged up against hard floors, countertops and hard to reach places - however, the real damage often comes from bleach and other chemicals that can discolour your ring. You should never, ever wear your ring into the ocean or swimming. Not only is it damaging for the ring, but cold water tends to shrink your fingers, making it that much easier for your ring to slip off. Now, while your ring wouldn’t disappear as easily in a pool compared to the vast ocean - chlorine could damage or discolour the mounting of your ring and the metal band. During cooking and food prep - you wouldn’t want bacteria to get lodged and stuck in the little crevices and details of your ring. And as with any situation with a drain present - you wouldn’t want to risk your ring slipping off into the drain while you’re washing some vegetables. A lot of people often wonder whether or not they can shower with the ring on - I mean, if you’re cleaning yourself, the ring will get a bit cleaner too, right? Well, not exactly. There are two things that have to be considered here. While you’re working up a lather, it often becomes quite slippery, so the most unfortunate thing to happen would be your ring slips off and into the drain and gets lost forever. The second possibility is that oily soaps can create a dull finish, or exfoliating creams or scrubs can scratch your ring. As ring lovers ourselves, we can understand that anybody who receives a beautiful ring will want to wear it and show it off at every possible occasion. However, there’s a lot to be risked and lost when wearing your engagement or wedding ring in certain situations. Understand the risks, and try to protect your ring to make sure that it’ll be with you for a lifetime! If these preventative measures have been useful to you, then perhaps you’d like to learn more about how to clean and maintain your ring. Read more by following this link. If you want to learn more about what types of ring types and metals would be more suitable to yours or your loved one’s every needs, then get in contact with us today at 1300 361 873.